Summer is drawing to an end—in some parts of the country, kids are heading back to school. 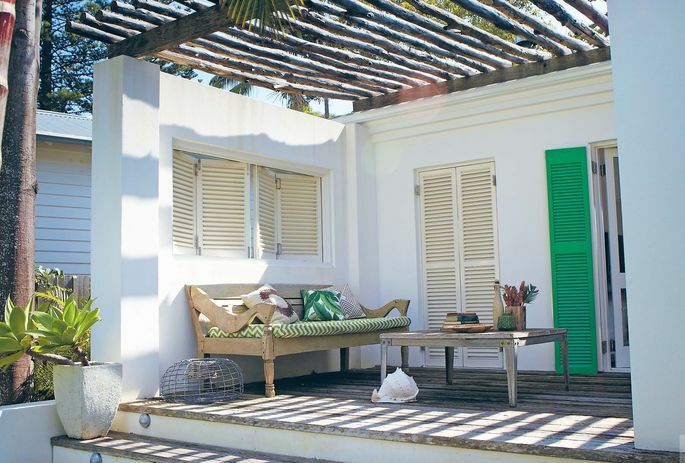 Maybe you're already getting nostalgic for your summer vacation at a beach house (or wish you had one). 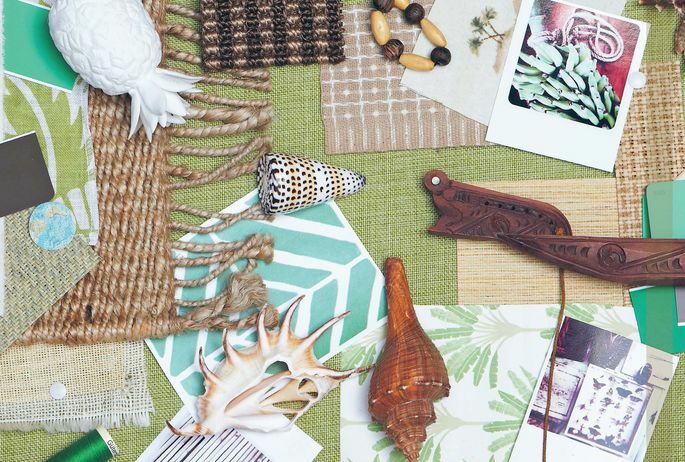 There's no reason that beach style has to be a seasonal thing—you can bring the natural colors and textures of the coast into your home year-round, no matter where you are. Great coastal design should start with organic inspiration from the very place you're using as a visual reference. “Inspiration has to come from the source. By simply looking at editorial shots in magazines and imitating the decor, all we wind up with is a diluted version,” says Tim Neve, author of “Sand Castles: Interiors Inspired by the Coast.” Neve notes that some of the homes whose ocean-inspired style he profiles in the book are actually many miles from the water. But if you happen to be by the shore, spend some time walking the beach and looking for inspiration in whatever you can see and touch. If you’re landlocked, use your favorite seaside memory for inspiration. And don't think that you're limited to seashells and coral; Neve's book refers to tropical, nautical, bohemian, and beach lifestyles, inspired by the people who have made their lives on and around the ocean. Start building your design by choosing a color palette. “Starting with a neutral base palette (inspired by the beach, of course) lets you try different decorating concepts,” Neve says. To keep your design modern, look for neutral hues that exist naturally by the sea—like the pearl-white inside of an oyster shell, the bleached, tan color of driftwood, or the creamy beige of sand. Once you have a palette, you can add more vibrant organic colors from your favorite beach, or colorful textiles that old-time seafarers might have brought home from distant lands. 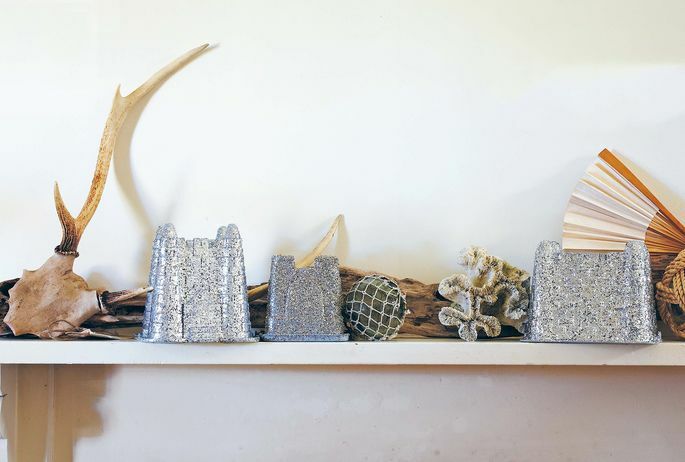 Sandcastle buckets painted with silver glitter adorn a mantel. Finding the right decor pieces to polish off a room doesn’t have to be challenging—or expensive—when you’re building a coastal theme. “The rustic look goes hand in hand with creating an authentic coastal style, and follows the mantra that ‘money doesn’t buy style’; an important truth to remember if you feel overwhelmed about decorating your own home,” Neve says. 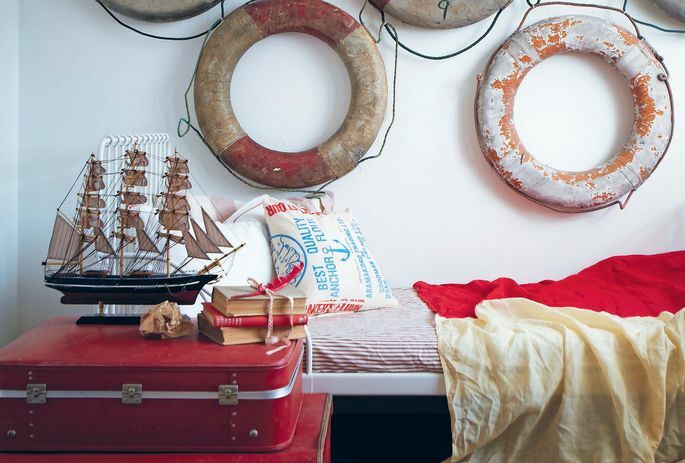 Reclaimed items from the beach can have the most dramatic impact on a room. For example, try using driftwood as floating shelves along an open wall or creating a wind chime out of oyster shells. Neve's book features a striking mantel arrangement of coral, driftwood, and plastic sandcastle buckets covered in glitter. When you’re considering the style, remember that you don’t need to live in a large, expensive home on a private beach to have a great coastal theme. Neve, who spent weeks photographing homes for his book, found his favorite designs didn’t come from the largest homes, or even the beachfront properties. “When I first said I was doing a coastal book, I think people expected multimillion-dollar beachfront homes, but instead it was the quiet homes that really speak the loudest in this book. Like the little rustic cottages that the owners have taken the time to decorate with love, they felt immediately inviting and resonate on the pages because of this style,” Neve says. As long as your coastal style is a natural reflection of you and your surroundings, it will fit in anywhere.